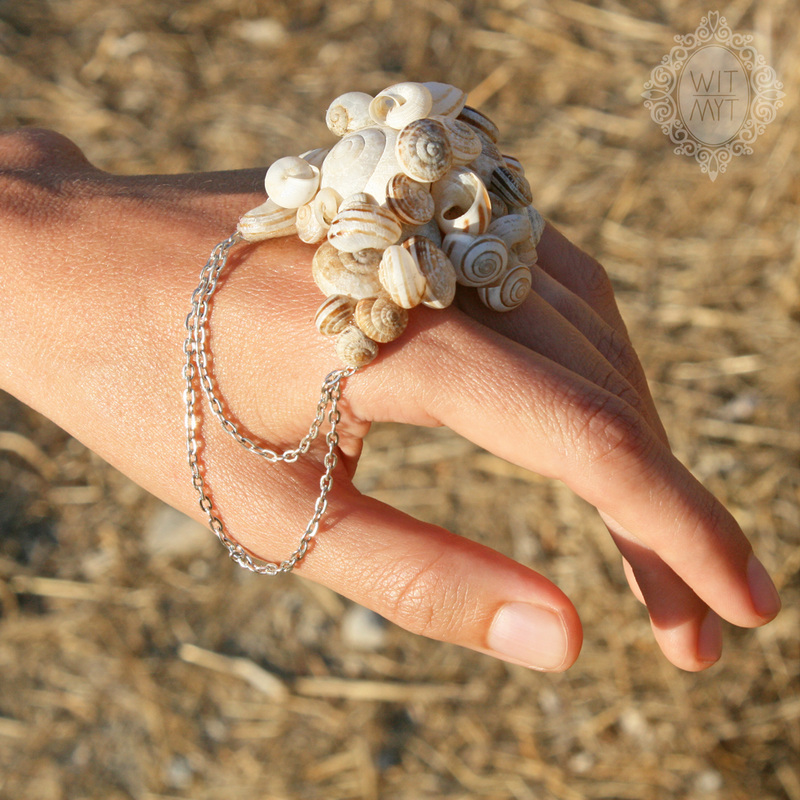 Fascinated and inspired by the clusters of snails and snail shells on the Greek islands I’ve visited, I embarked on a creative pursuit far less odourous than the CIGARETTE JEWELLERY and less maggoty than the CRAB CLAW BRACELET. These gastropod exoskeletons made me grateful that human strength lies on the inside. At the same time there is such beauty in this obvious display of fragility and vulnerability. 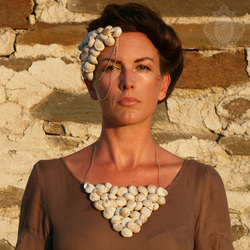 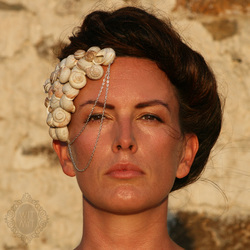 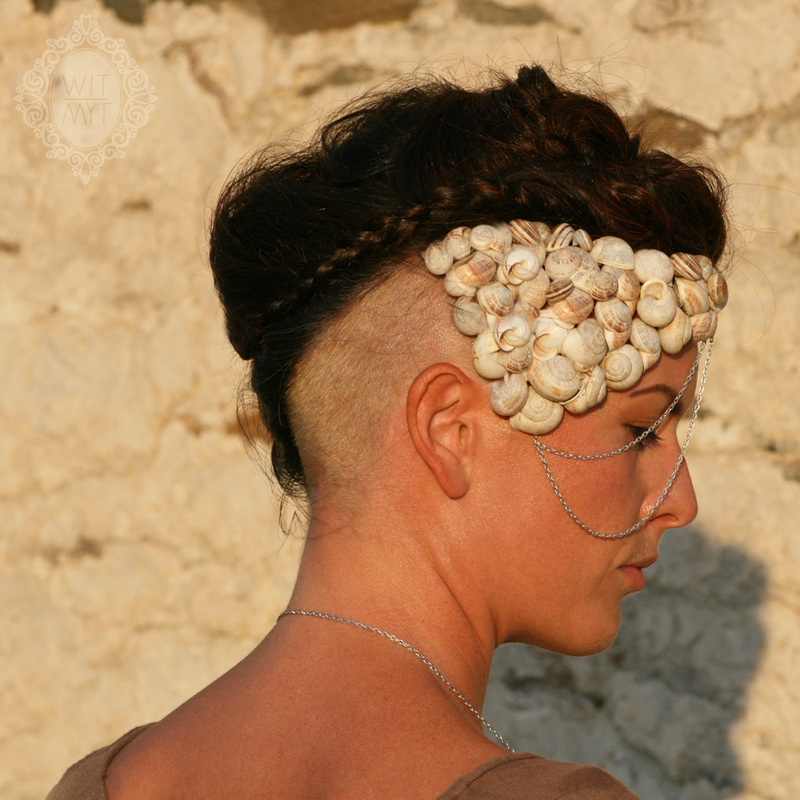 I made these jewellery pieces to reflect the armour-like nature of the snail shells I gathered: a helmet-style headpiece, a breastplate-like necklace and a knuckleduster-type ring that I fondly refer to as ‘Knucklecluster’. 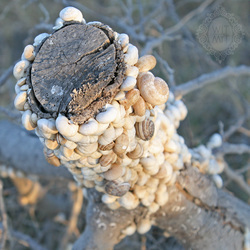 The photos were taken in the very late afternoon as the sun was hugging the horizon since I would discover the snail shell clusters at this time of day while out for a walk. Even though the shells would be empty the light would offer a certain glow that suggests a hint of life and the feeling of security.